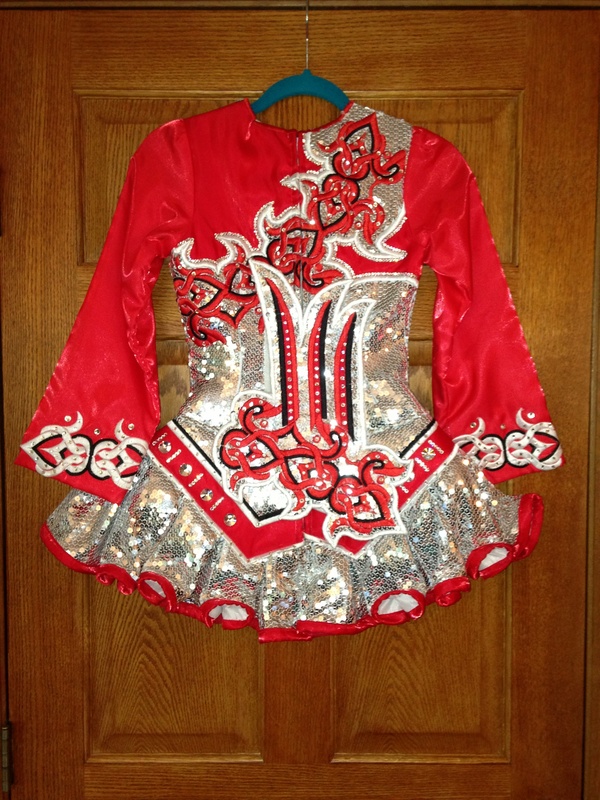 This spectacular modern, yet classic dress was made in May of 2013 by Gavin Doherty. 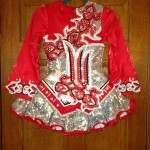 Absolutely lights up on stage with all the sequins and pictures don’t do it justice. 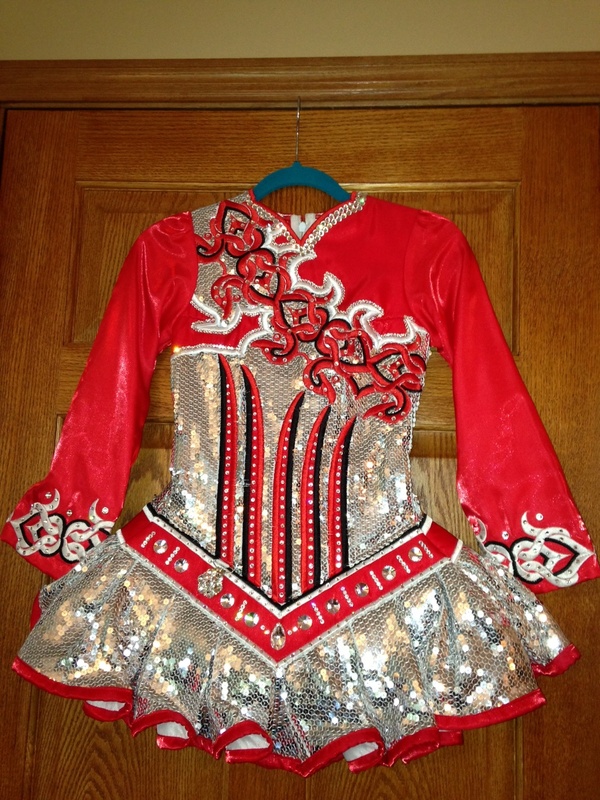 Dress was worn at the 2012 Oireachtas, where dancer finished in the Top Ten and also at 2013 Worlds. 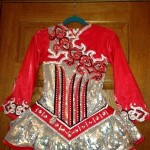 The dress is in impeccable condition with hundreds of Swarovski crystals and was stored flat in a non-smoking home. Dancer has grown, so excited to pass this incredible work of Gavin on to the next girl. U.S. shipping included in price, international shipping extra. Returns negotiable with buyer paying shipping costs to return. 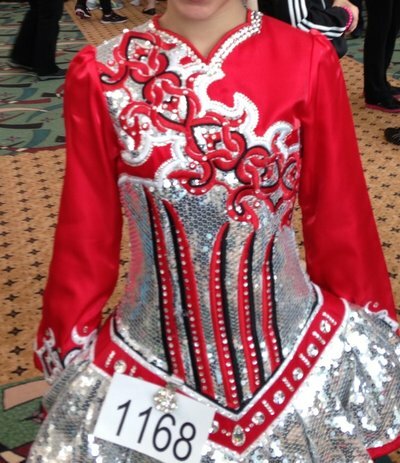 The dress will be available after July 5th and we will be at the North American Nationals in California and can schedule a time to meet to try it on. Will gladly send along extra pictures and look forward to talking with you! Asking Price: $US1695. Shipping costs are included for my own country, overseas shipping is extra. Returns are negotiable.